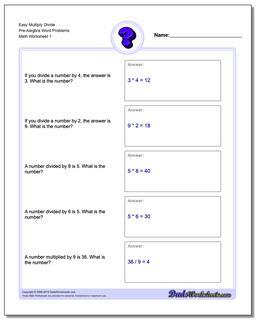 Even before kids start using variables and equations and all the notation that algebra brings to the math universe, algebra concepts are readily at hand in the form of simple story problems like the ones in these algebra word problem worksheets. 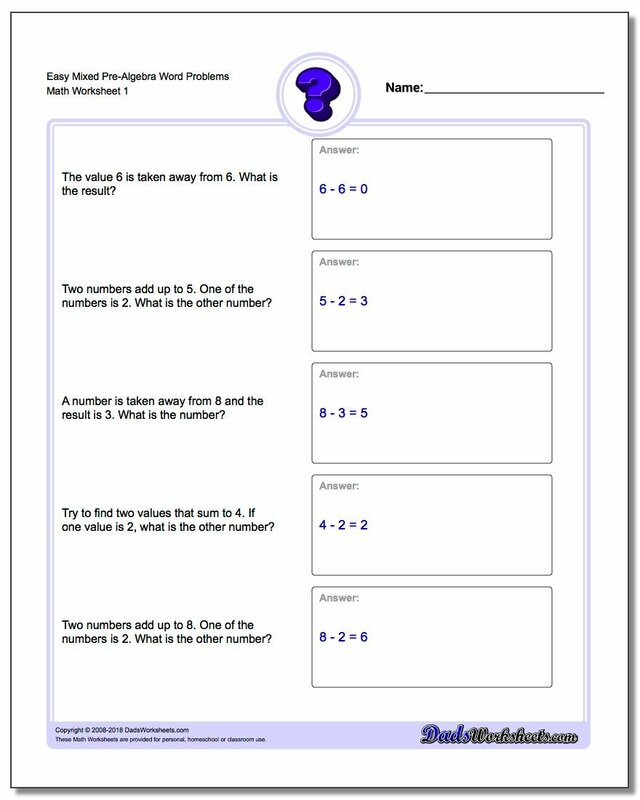 These simple story problems focus on missing values for all the basic operations, but they are presented in way to ease into algebraic equations. Algebra word problems that use standard math vocabulary to describe relationships between numbers in addition and subtraction problems. Great for basic pre-algebra thinking skills, even before your grade school student starts algebra! Word problems that use standard math vocabulary to describe relationships between numbers in multiplication and division word problems. 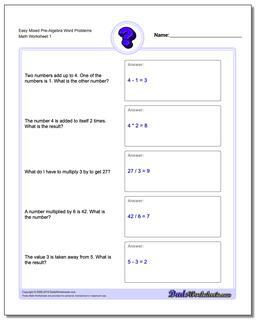 Great for pre-algebra thinking skills! Word problems that use standard math vocabulary to describe relationships between numbers in word problems (All Operations!). 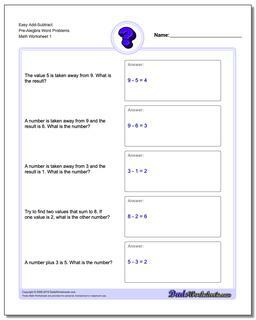 Great for pre-algebra thinking skills! Easing into algebra is easier than you think, and simple word problems that correspond to basic algebra is one way to introduce 5th and 6th grade students to this topic area. 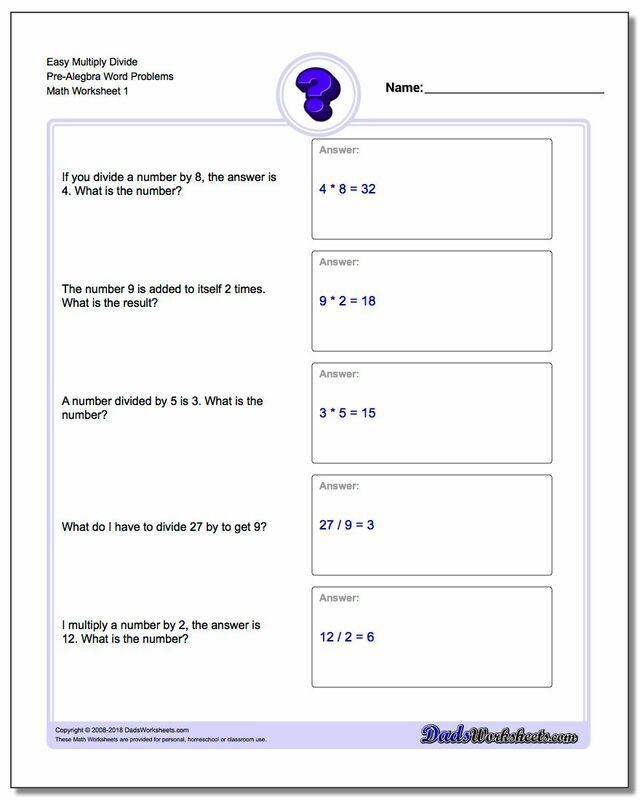 The worksheets in this section are broken into pre-algebra problems by operation, and have the basic 'find the missing number' form. If your student can solve these practice problems, they should be able to transition easily to simple algebra equations and not be overly intimidated by variables. 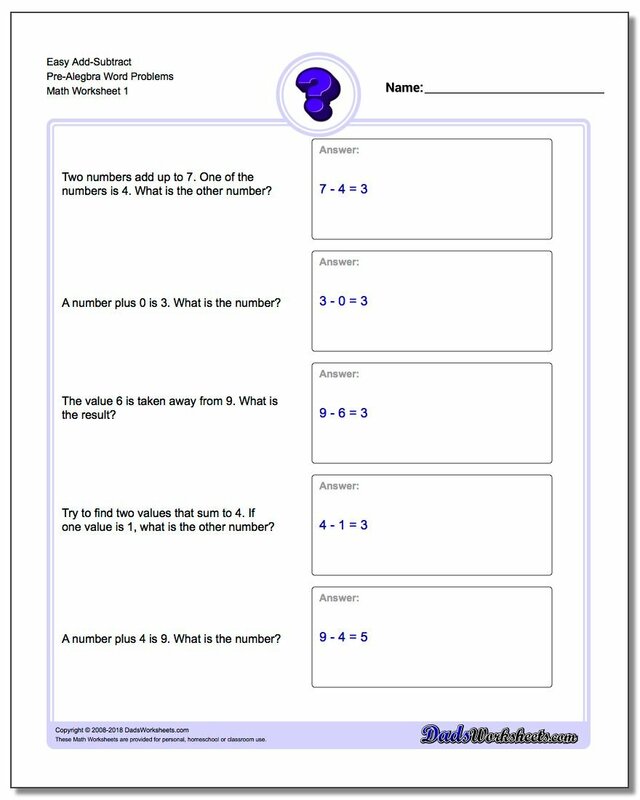 The first set of worksheets deals with addition and subtraction equations in algebra word form, followed my multiplication and division, then a mix of story problems with all four operations.